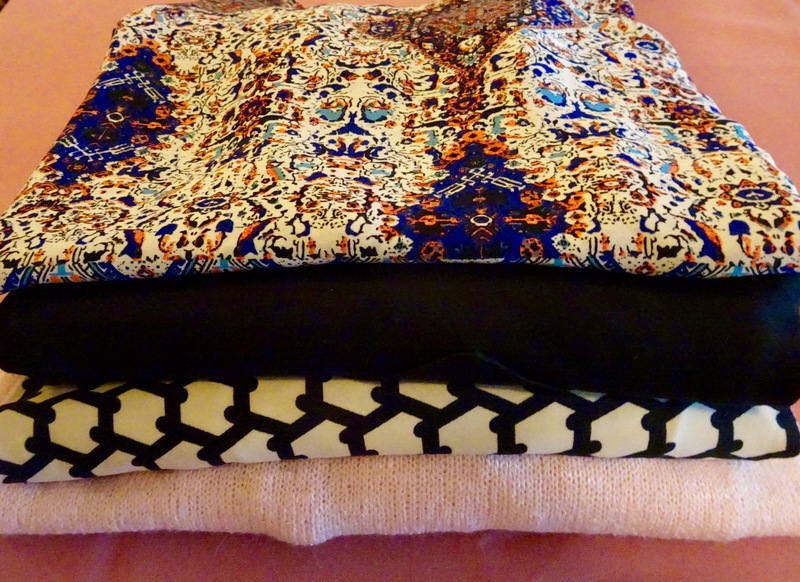 It is Stitch Fix time again!! There was a box waiting for me when Chuck and I returned from out west. I opened it this morning, and I wasn’t disappointed. Here’s what I found. A soft pink dolman knit sweater by Papermoon is luscious. A black and white knit dress from Gilli will be perfect for day and evening. The lace-up back detailed blouse gives my wardrobe a cool vibe, and the Liverpool black skinny ankle pants goes with just about everything. So let’s take a closer look. First, my personal stylist got instructions from me that I have three big events planned for this fall. First, I have a class reunion to attend. Lord help me, because I’ve been on a diet all summer long. Second, Chuck and I are going to China; and third, my daughters, sister, and I have a blogging conference planned, too. So I needed just the right pieces. My personal stylist Cindy did not disappoint! 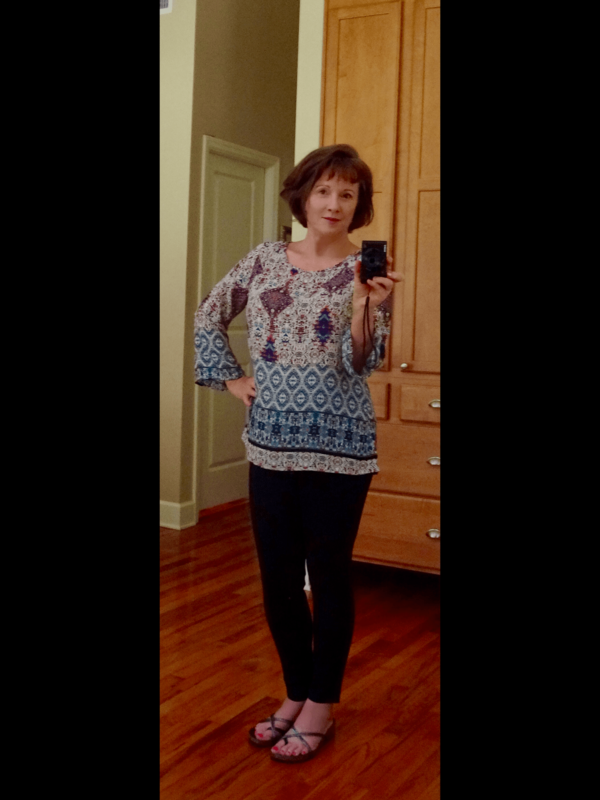 I tried on the lace-up blouse first and loved (LOVED) it. It will go with just about any color slacks I already have, but it is so light weight. Chuck and I just found out that we cannot have more than 44 pounds in our individual suitcases while traveling in China, so I have to take clothes that are lightweight. The skinny pants go with everything, especially this blouse that I already owned. The shoes below were in the Fix, and I’ll review them later in this post. and the knit dress. I thought it looked super underneath the dress for a night on the town—say in Shanghai? They tell me that Shanghai is like New York City. The dolman top also goes with so much. I tried it with a black skirt to dress it up…and with a pair of jeans to dress it down. Then I got carried away. I just bought a new pair of camel colored pants, and the blouse goes well with them, too. Then my daughter suggested something that wasn’t so matchy, matchy. I liked it too. Finally, I got a pair of shoes in this Fix; but I did not have a Cinderella moment. They are super cute, and my stylist did have a terrific idea. She suggested for the long 13 hour flight over or back that I wear them with a tee and cardigan. Then after the flight I could fold them up and fit them into my tote. Grand idea, but the shoes didn’t fit. They were too small. 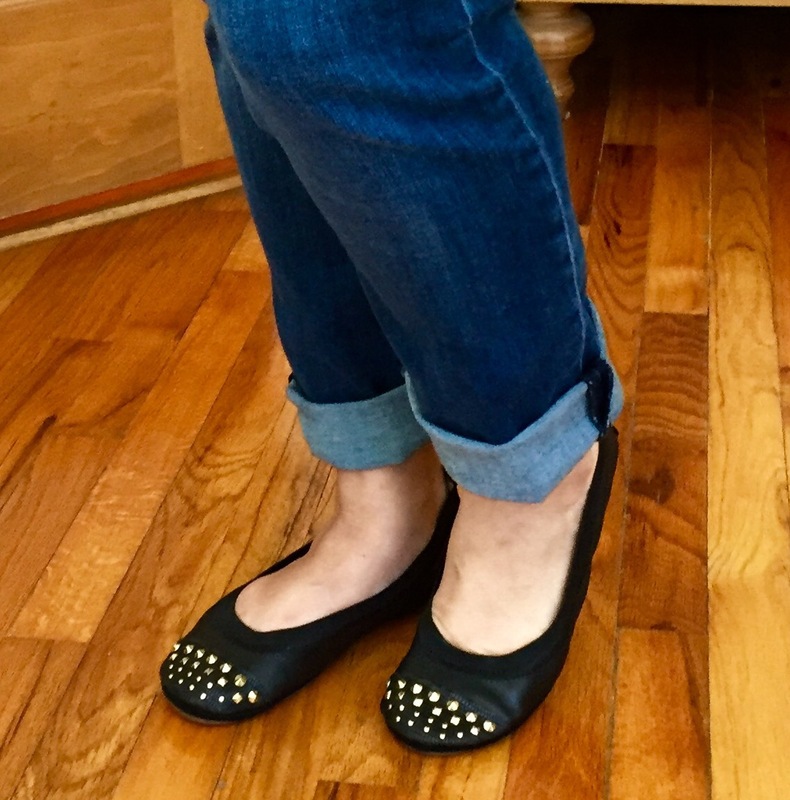 Thankfully, though, my daughter Jamie loved them, so I gave the Yosi Samra Leather Toe Stud Flats to her. They fit her perfectly. Here’s how it worked out financially. My entire fix this quarter was $332. If I kept every piece they sent, though, then I received a 25% discount of $83 and a credit for my styling fee which is $20. My new total for all five pieces is $229, about $45 a garment. I was happy with that. If I had sent the shoes back, the total would have been $83 more, and the shoes cost $88. That is too much for these shoes for my budget, but it made sense for me to give the shoes to my daughter. She is pleased as punch. So there you have it. 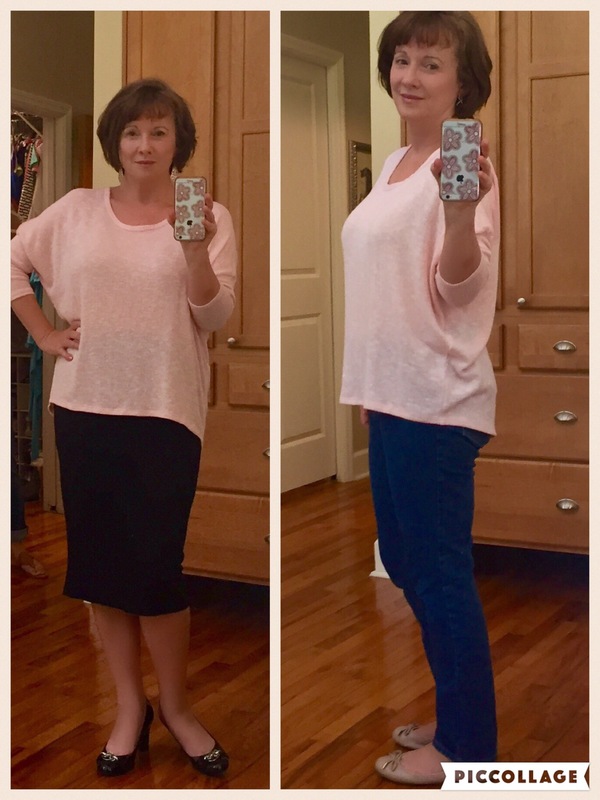 My Stitch Fix reveal for the Fall season! I kept every piece of this Stitch Fix! Looking good! Loved all the outfits!